We just wanted to say a big thank you for your photography at our wedding. It was such a relief to have someone to organise us on the day, we didn't have to worry about anything! This made our wedding day so much more relaxing and we were able to focus on the things that were really important. Your photos are beautiful and the album is exquisite - nothing like we have ever seen before. Thanks again for your expertise, patience and level of professionalism. These things helped make our wedding day one that we will remember for many years to come. On behalf of my husband Leigh and I we would like to sincerely thank Adam for the amazing job he did making our wedding day so memorable. We booked Adam almost 3 years prior to our day which goes to show how great he was. Adam was professional from the moment we met him, always offering advice and trying to do what was best for leigh and myself. When our day came Adam was not only our photographer but a time keeper and a bridesmaid (helping me at times adjust my dress) who remained relaxed, approachable and friendly to all our guests. Our day would not have been so magical without you Adam and words cannot express how much we appriciate everything you did for us. 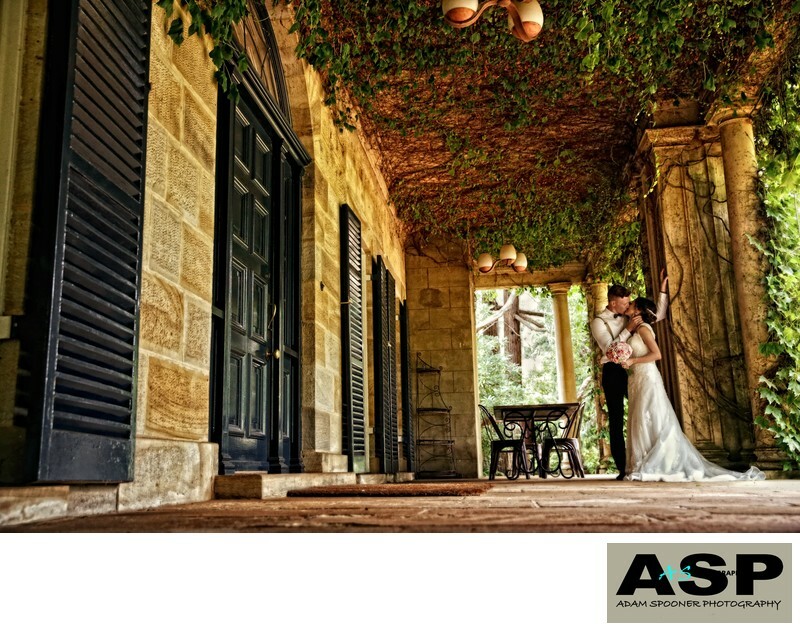 We highly recommend Adam Spooner for anyone looking for a photographer. 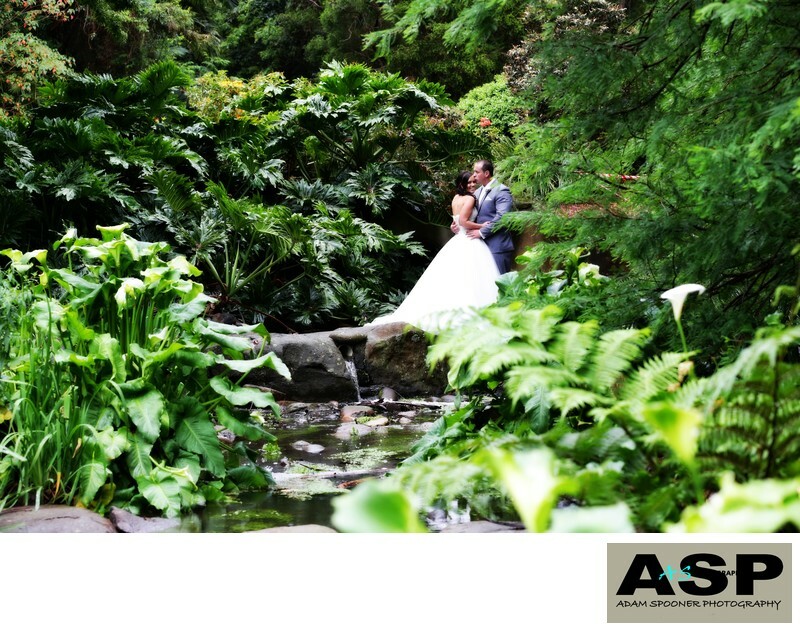 A huge thank you goes out to you Adam for our brilliant wedding pictures. Your professionalism from start to finish has been second to none. From our first meeting at the wedding expo, talking through the numerous packages, pre-wedding photo shoot to the wedding day incorporating a traditional Vietnamese ceremony on the morning of the western marriage, which makes for a very long day. You were amazing. We were more than happy with your services throughout. You were our timekeeper with Swiss precision and you are the best wedding gown “straighten-upper” for pictures. From when we first met Adam he was more then accomodating and understood and respected our choices. Adam only ever had our best interests at heart and recommended what he believed was the best choice for us. 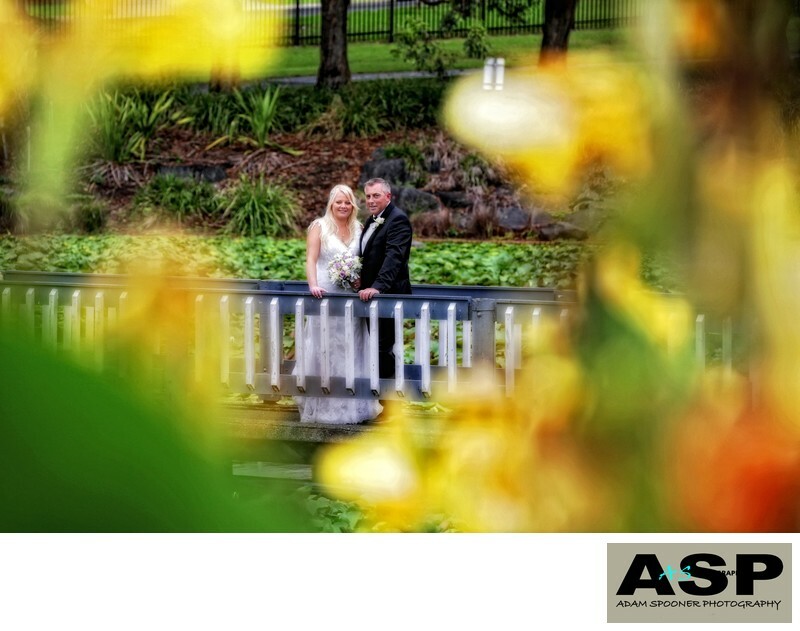 Adam, thank you for being a fun and relaxed photographer on our wedding day. You definitely made our Wedding Day so much better, allowing us to take our time during our photos, relaxing, having a few nibbles and drinks this really kept both Pete & I relaxed and able to enjoy every single moment of our day. We can not thank you enough for our fantastic wedding album and photos, these memories we will cherish for many years to come. We have had many compliments towards our album and photos and we can not thank you enough for capturing each and every moment of our day. Thank you also so very much for keeping our little secret from our guests. We couldn't have pulled this off without your support & help with that! We highly recommend Adam Spooner Photography and will continue to recommend him for years to come. Thank you for the amazing photos of our wedding, you captured so many beautiful moments. Trevor and I are so grateful for your professional but person approach to our wedding and the speedy delivery of the photos. There are no words that can best describe the delight we feel, as we flip through this incredible album. I will cherish this forever and am eternally grateful we chose you to capture our Wedding Day- Thank you, Thank you, Thank you! Just wanted to say a big thank you to Adam Spooner Photography for capturing our wedding day perfectly. Adam was easy going and efficient. His creativity saw us have some brilliant shots! 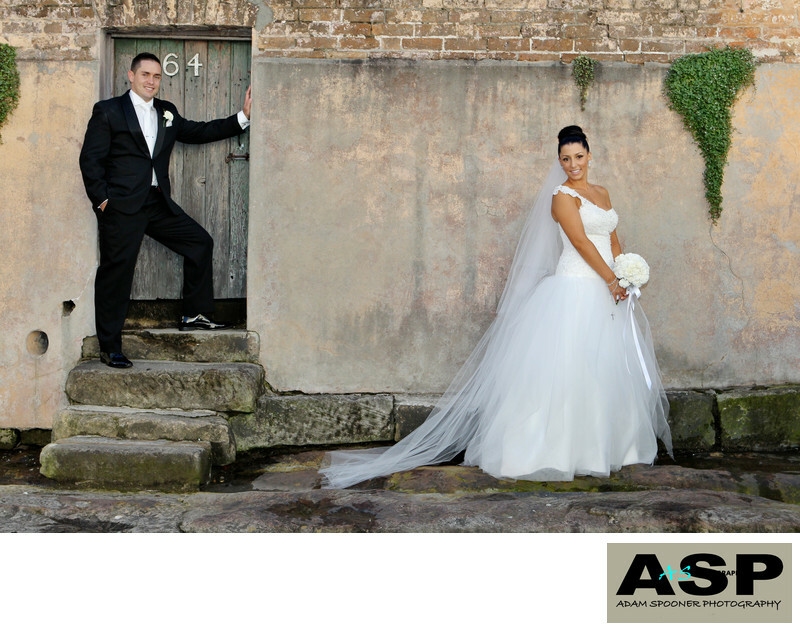 He was very efficient in getting our photos back to us and a pleasure to deal with. Thank you Adam! We wanted to say thank you for the amazing photos from our wedding. The day was relaxed, your style was fun and we all enjoyed spending the afternoon together. It was great to have you there from the beginning to the end. Would be happy to recommend your services. Adam Spooner we received our photos today 😃 we can't thank you enough you captured our day perfectly thank you! Wow Adam Spooner, what can we say, your photos turned out better than we could ever have imagined !!! We have had such lovely feedback from friends and family regarding our pics and we owe it all to you. We would like to thank you also for being such a nice guy and so easy to work with. It was such a long day for all of us however, you never complained and stuck it out right to the end. Your professionlism is greatly appreciated. Vegas and i can't talk highly enough about you and we will never hesitate recommending you to anyone we know getting married. We look forward to seeing the rest of our photos in the near future. Take care and all the best. Adam, you made our wedding day a dream, although it was hot, you helped us keep our cool and kept us on our toes all day with your witty jokes and cheeky remarks! You know the history- after following you for almost 5 years, I have wanted and dreamt about you being my wedding photographer since day 1. Aaron and i were blown away the second we met you and we knew your skills were exactly what we wanted for our wedding photos. We were so excited to see the sneak peak this morning, a sign of greater things to come! Thank you so much for proving us right! You are a talent photographer and a wonderful human being. From the bottom of our hearts- Thank You! Wow Adam our photos look amazing. Cannot thank you enough and can't wait to see the rest. When I saw your albums 2 years ago at the penrith expo I though maybe I could end up with pictures just like that for our wedding and maybe I could look as nice as those brides in our photos . After seeing these photos I know we chose the most amazing photographer, you took the most stunning photos that we will treasure for ever. Thank you so much. Thank you so much Adam! The photos are absolutely amazing!!! Jason and I can not thank you enough for all of the hard work and effort that you have put in. Everything is just perfect!!! We could not be happier! We just wanted to say a HUGE thank you for our AMAZING wedding album!! We could not have been happier with the end result, it is fantastic - our day has been captured perfectly!! You certainly continue to deliver an amazing service right to the end of the process smile emoticon thank you for being so incredibly patient while we (mostly me lol) changed our minds millions of time with photos & lay outs lol. Job awesomely done - so thank you times one million! From both myself and Tanya I would like thank you for the extraordinary package you presented to us on both the day of our wedding in February 2012 and the amazing wedding album we received. You are truly the ultimate professional. The way you managed not only yourself and your team on the day of our wedding but also amazingly the rest of the wedding party and crew it felt as if you played wedding planner on the day also which was incredible. We both have received nothing but overwhelming compliments from our friends and family for the wedding album you completed and the amazing portrait you went out of your way in including. We have and will without a doubt continue to refer you to all friends and family for occasions in which your professionalism and amazing creativity can also help create one of the best days of their lives. Thanks again Adam for the amazing package you created. You more than delivered on quality, support, creativity and value by presenting the most amazing memories we can look back on for years to come. Picked up our AMAZING albums today.... What can we say, absolutely INCREDIBLE!!! Adam captured the most special moments of our day and they are now preserved in the most beautiful way!!! Love, love, LOVE!!! we would recommend to anyone, any day of the week!!! Adam our photo's are amazing smile emoticon they have taken my breathe away! David & I just knew from the moment we met you at the bridal expo that you were the only photographer to capture our special day! Thank you Thank you Thank you! Just wanted to say a huge thank you to you from both Andrew and myself for all the work you've done for us for our wedding. You made us both feel completely at ease throughout our first meeting as well as on our wedding day. For someone that hates having her photo taken, that's a huge accomplishment! We were so excited to get our album home today and have a look and I must say, we were both ecstatic with the result. We will most definately be back in touch as our family expands. Thank you so much Adam Spooner Photography for helping make our wedding day the best day ever! We are so very grateful for everything you did for us. You were so awesome to work with, so professional and willing to do anything (including stand in the rain) to make sure we got some amazing shots! You really put our mind at ease keeping an eye on the weather to see when there was going to be breaks in the rain so we could make the most of it and get out there for some pics! Thank you for spending over 12 hours with us! We really appreciate all the effort you went to, and we are so happy to have found you and very lucky to have had your skills & talent on our special day!!! Thanks again, for an amazing job well done! We just wanted to sincerely thank you for your work. Not only did you take such an amazing series of beautiful photos during the day, but the album you made us is simply stunning. We can’t stop showing it to everyone we know, and the comments we receive back about the quality of the album are fantastic! It is the perfect keep-sake from our day. You made our day run so smoothly and it was nice to have a friendly, experienced face to bounce off. You even went the extra mile in requesting some great songs to the DJ to get the party started! 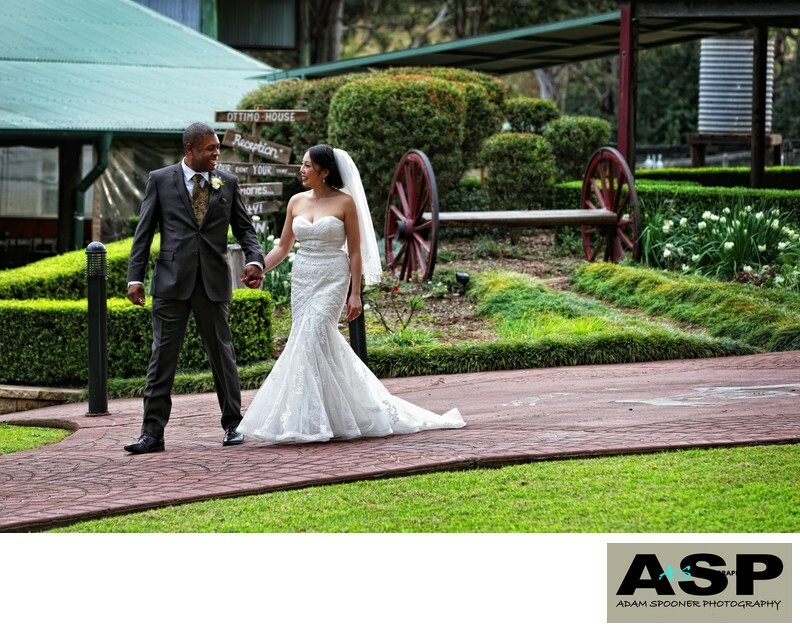 It was great fun working with you on our wedding day and we have recommended you to all of our family and friends. Best wishes to you and the family and we hope to see you at another wedding again soon! On behalf of My beautiful Wife and myself, I would like to say a massive thank you to Adam for making our perfect day that much better and now with these amazing photos,something we will never forget and always look back on. Adam was Extremely professional,confident and very genuine on the day, and he knew exactly what would look good and what to do with each shot. By the end of the night Adam was looked upon as a friend rather then a photographer due to his care and friendly nature. 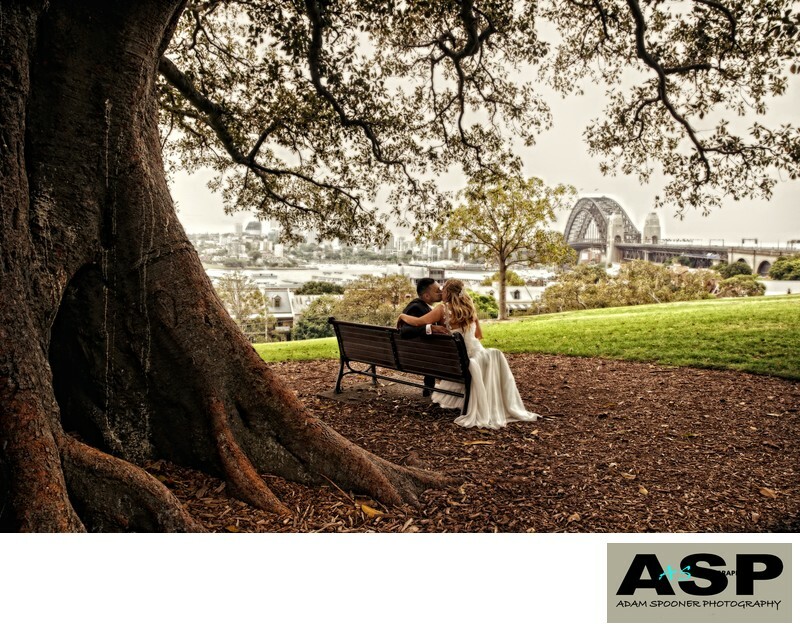 Adam is a top bloke and a natural when it comes to his photography and my wife and I couldn't of had a better all round bloke photographing our perfect day. From the bottom of my heart i thank you immensely for every photo,idea and piece of input you had on our day Adam,the end result is stunning and i will deffenently be recommending you to all future couples,friends or family who need someone to capture their special day. Adam, these photos are amazing! I really love the night shots! And the car... and the umbrella... and... I could go on forever! Spectacular! Thank you for capturing these wonderful memories and for being so relaxed yet organised. It was such a relief to know that you had our day under control from the start. You made our Wedding Day so much fun and I can't wait to see the album! Adam, the photo's are just beautiful! We can not thank you enough for everything you have done. Your proffesionalism and direction on the day along with the personal touch of just going along with Gary and I just "being us" and catching all those silly candid moments really made everything so easy and comfortable. On behalf of Gary, myself and our families we'd like to thank you again for everything and we will definately be recommending you to all our friends. 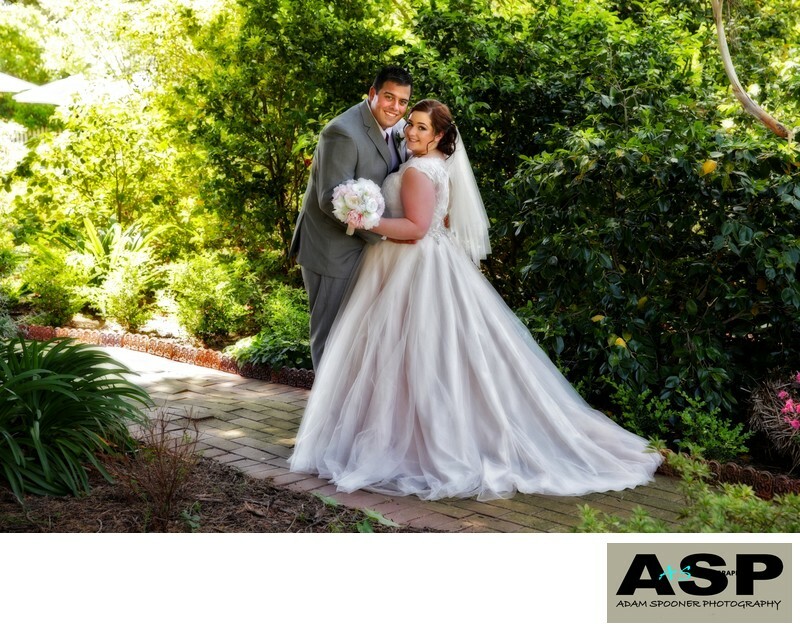 Thank you Adam for the beautiful album, We are so pleased with not only the fantastic pictures but the excellent service that you provided before and on the day. We will be able to look back on these special memorys of our day for many years to come thanks to you. Hi Adam, Ben & I received our wedding album on Friday. Thank you for arranging delivery. It is amazing, we are both so pleased with how it turned out. I've shown it off to a few people and they have all said it is one of the nicest albums they have ever seen! Thank you again! 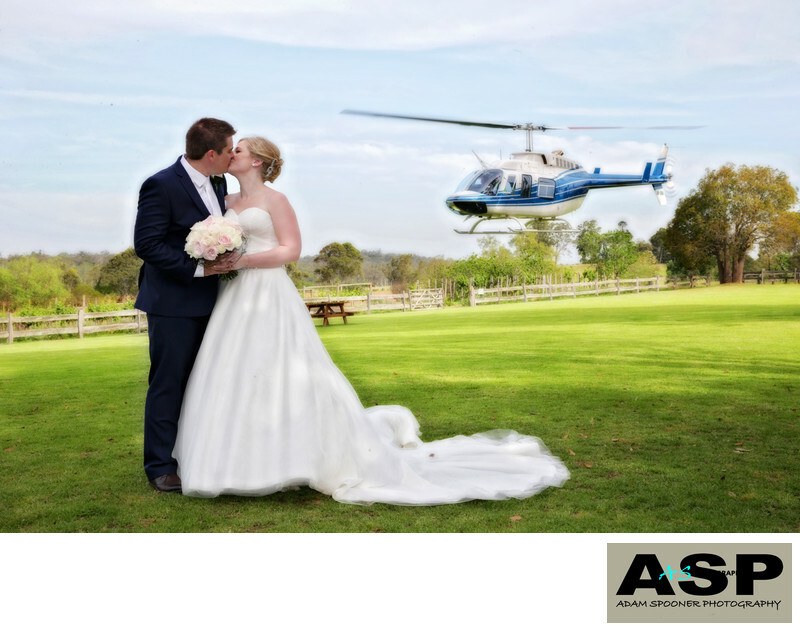 "We used Adam Spooner Photography for our March 2009 Wedding, Adam was incredibly efficient from the very beginning and assisted in making our very special day a great success. My Husband and I could not be happier with our Wedding Album, the quality exceeded our expectations. We will be able to look back on the best moments of our special day for many years to come." 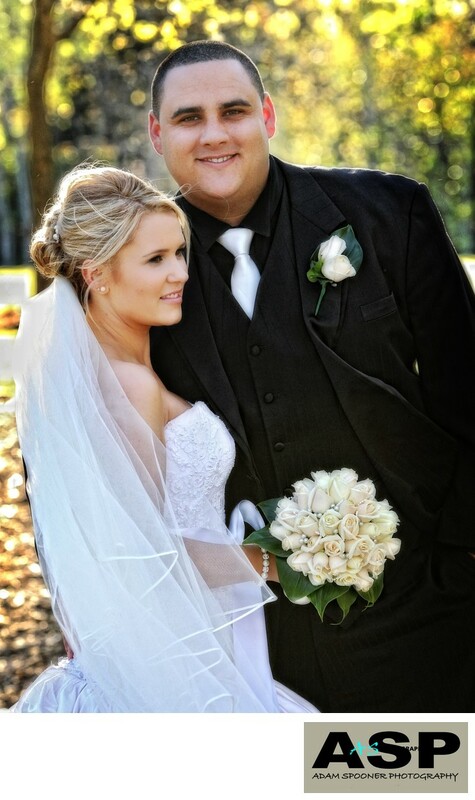 "Adam, Our wedding photos look absolutely gorgeous. Thank you so much for your professionalism right from the start. You made us both feel totally relaxed and comfortable on our special day. All of our family and friends have commented on what a fantastic job you have done on the album. You have definitely captured all of the magic moments and more." What can we say? We Love our photos! Our Album is fantastic the best we have ever seen! We have had numerous compliments on our photos, our album and you as well. So many people said they didn't even notice you there at the wedding, yet you captured it all!. Once again, a massive thank you from us. We would have no hesitation in recommending you at all to anyone. Thank you so much for making our wedding day so fantastic for us. Adam was the photographer for our wedding, and the photos were wonderful. He is a great photographer, he got the most beautiful shots and caught everything. It was very hard to pick my favourite photos for the album as they were all lovely. The album is amazing, we always receive compliments about it. He was very professional and easy to get along with. We enjoyed having him as our photographer and we recommend him to everyone. 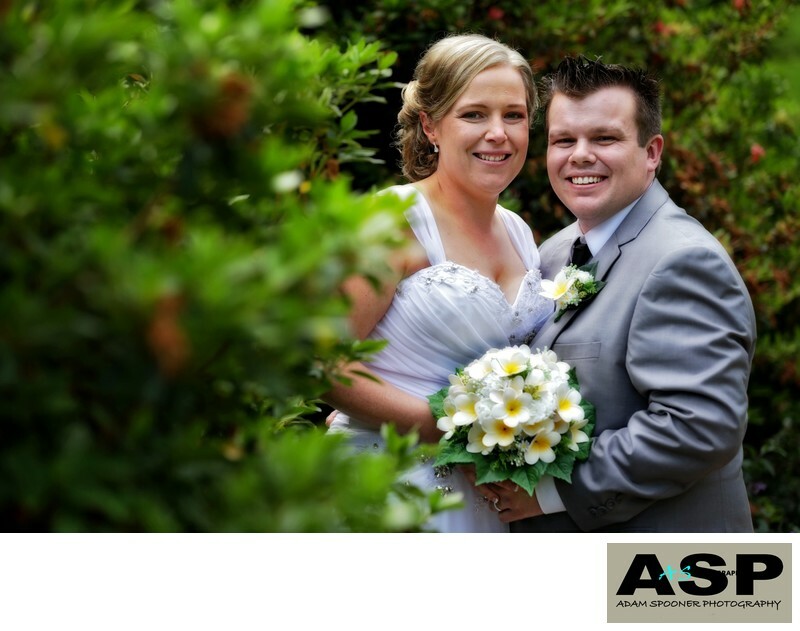 "Not only were we impressed with the product and professionalism upon our initial meeting with Adam, this was continued on our wedding day. Adam made everyone involved feel comfortable and wasn't at all intrusive. Bernard and I were extremely overwhelmed with the end result, both the proof book and wedding album exceeded our expectations and were absolutely amazing. All who have seen or were involved are amazed with both the service and album." What can we say, Our day was perfect and you managed to capture every moment along with every emotion perfectly. We absolutely loved the photo album and DVD slide show, the quality and presentation was superb. To have our day illustrated from start to finish without missing a moment was brilliant, It really does tell the story in a beautiful way. It was a pleasure working with you, everyone feel at ease with you and a lot of the time we didn't even notice you flying around taking all of the photos that help to capture the day in full. We have absolutely no hesitation in recommending you to friends, family and anyone who may be in need of a photographer as the results we had were amazing. 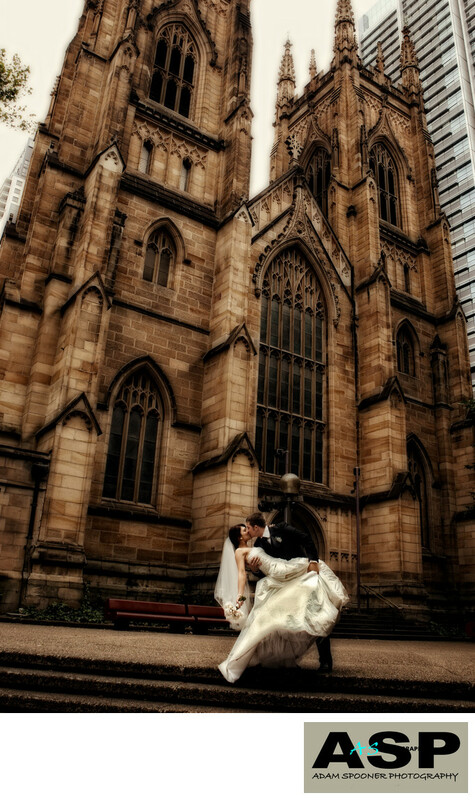 I believe photography is the most important aspect to get right when organising your wedding. I made getting my photos taken a priority as it the one thing that will help keep the memory of our day alive. The day goes so unbelievably quick and I knew I needed a photographer who could take control, organise people and also get the most stunning photos of the day. I found what I was looking for in Adam Spooner's website. He was referred to me by a friend who was extremely happy with the end result. From the beginning of the day right through to the end, it felt like Adam was a great friend. He seamlessly steered us through the day, let us know what was going to happen next and captured the most amazing shots. The before and after service was fantastic as well. We received the photos within 2 weeks to choose from and then only 6 weeks later we received our gorgeous album, which I have only ever received great compliments for. We are eternally thankful for the great memories we will always have because of these photos and I would recommend Adam to anybody. He is worth every cent. 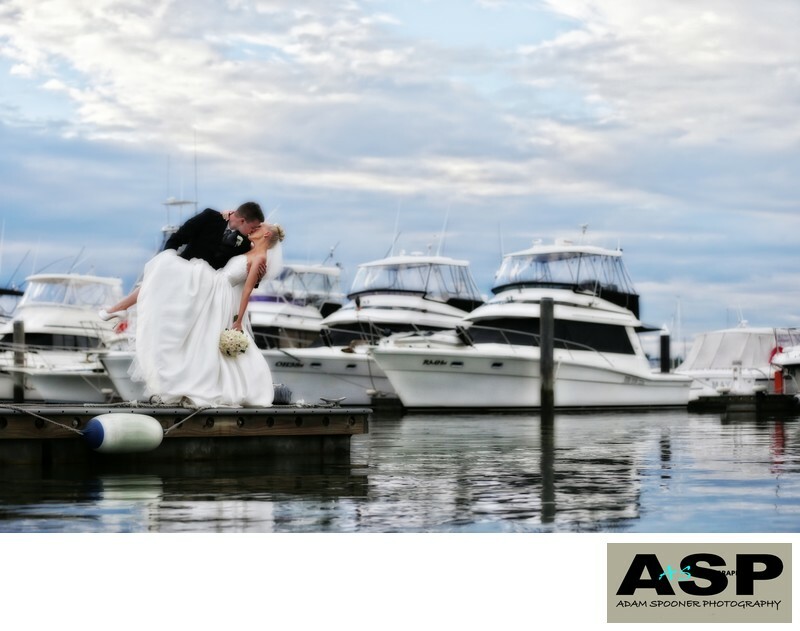 "I would highly recommend Adam Spooner Photography for your wedding photos. From the planning stages and on the day itself, through to the final product he conducts himself with a relaxed but completely professional attitude. We couldn't have asked for more and now we have a beautiful momento to remember this special day. The quality of his services and the album are second to none ! 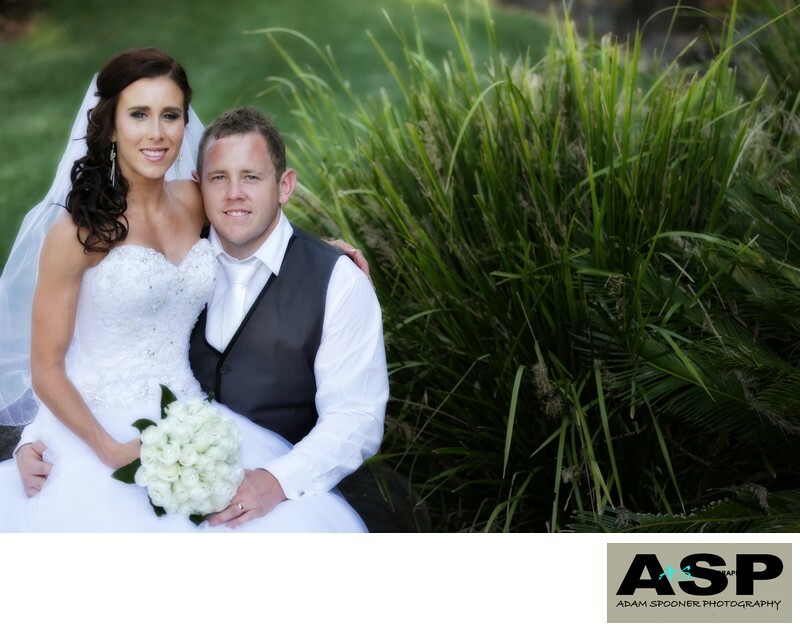 Thanks Adam..."
I just wanted to take the opportunity formaly to thank Adam Spooner Photography for their great service on our wedding day. Susan did such a great job on the day, she worked liked a trogent and was so good and patient with our guests especially the kids. From what I have seen so far the photos are fantastic so overall Adam Spooner Photography has exceeded all our expectations. Susan should be commended on her customer service skills aswell as her artistic ability when photographing. I have recommended you to many people already and will continue to do so. I received the album today. Thank you so much! It is beautiful! I would just like to say good luck with your career and I wish you and your family the very best for the future. It has been a pleasure working with you. 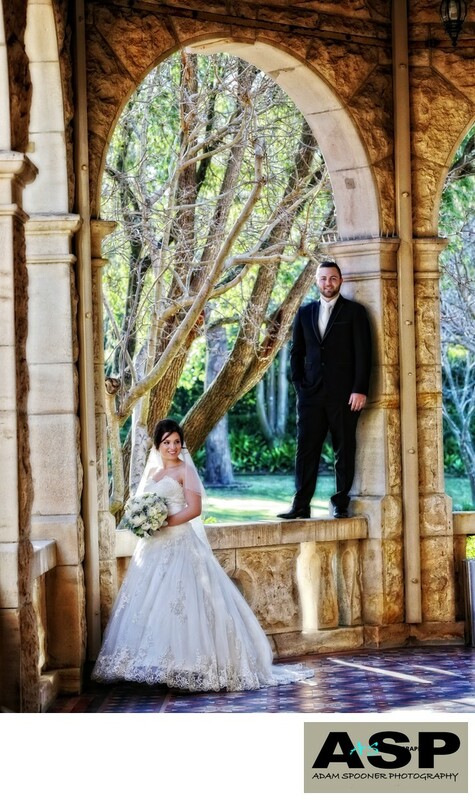 You made Michael and I feel extremely comfortable on our wedding day and our photos turned out gorgeous. Thanks again! Thank you for taking the best photos on our special day. Our album has summed up our perfect day, thanks to all of your awesome pictures. 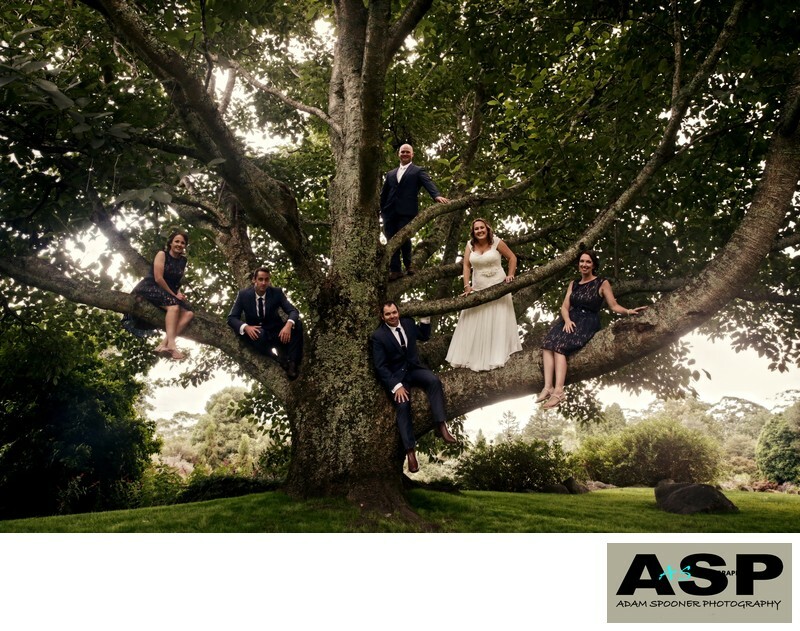 Adam knew what pictures would look good and where, he was very professional and very patient with such a big bridal party. In future I will highly recommend you to family and friends for photos. Thank you so much for making our perfect day be put into photos we can cherish for the rest of our lives. I just want to say a big Thank You! The photo's turned out amazing, so impressed ! You are a fantastic photographer and made us feel very relaxed, from the beginning of the day to the end of the night you never missed a thing. I will recommend you to anyone in need of a professional photographer for years to come. Thank you for all your hard work and giving us great memories of our special day. Nathan and I would like to say a huge thank you for all the amazing photos you took on the day! It was great having so many photos to choose from for the album! We absolutely love the album and really appreciate how you valued our input for the album so it was exactly what we wanted. Thanks again for your organisation on the day! It was great having someone with your experience help us to plan out the timing of the day, and for us not to have to worry about it! Thanks again! We can't wait to show our album to all of our friends and family!! We received our photo's overnight and cannot thank you enough. We absolutely love them! Such beautiful pictures and you made our day so much fun whilst taking them.